What’s your favourite childhood toy? I love to play with my stuffed lion. I pretend we're in a competition... I always win. What’s the one food item you couldn’t live without? The appetizer platter at Shagwell’s on the Ridge! 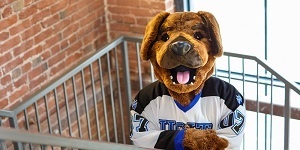 Favourite TV show or movie: Air Bud… It gives me hope that my dream of playing for the Ridgebacks can come true! Blog that you’re most excited to write: Every Friday I’ll be writing an Ask Hunter post! Favourite past Student Speak blog: Hunter’s Guide to Open House, of course! Be the first dog on the moon. 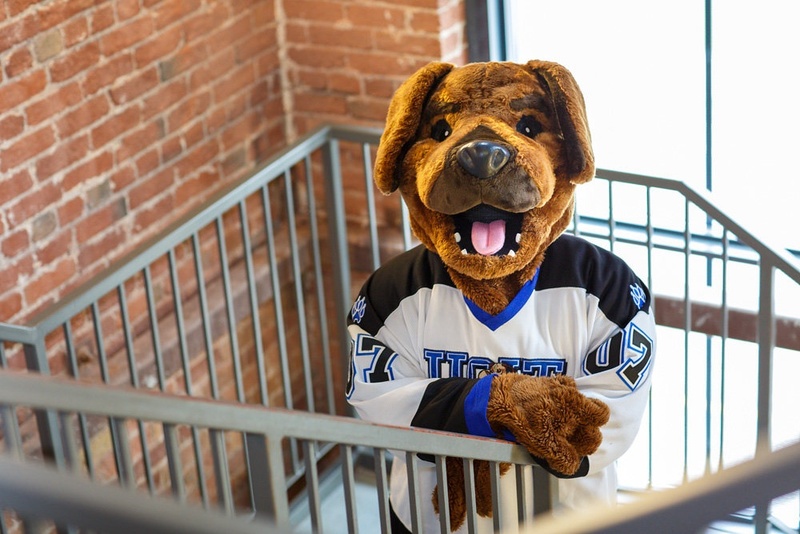 Receive an honoury Dogtorate from UOIT. Who is your career idol? Gidget the Taco Bell Dog! Favourite sports team: The Ridgebacks! Favourite place to hang out on campus? The Campus Ice Centre, Vaso’s Field or the Campus Tennis Centre! What would you tell first year students? Show your school spirit and get involved!